Please feel free to contact us with any questions you may have, or to request an appointment. If you need an appointment within 24 hours, please call rather than e-mail. 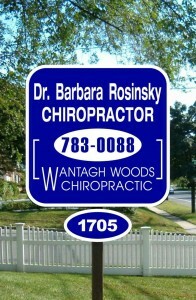 We are conveniently located on Wantagh Avenue in Wantagh, between Sunrise Highway and the Southern State Parkway. If you are requesting an appointment, please specify what would be a good day and time for you. Please do not use e-mail to make an appointment less than 24 hours in advance. Office hours are Monday & Wednesday 9:00 am – 12:30 pm and 3:00 pm – 6:30 pm, and Friday 9 am – 12:30 pm and 3 – 5pm. Special early bird hours Friday morning from 6 – 9pm, and all others are by appointment only.